When you think of how to describe a dog’s personality, one of the first descriptors you might use is “loyal.” You can often see dogs staying by their owners’ sides despite homelessness and poor situations. They love any person who is willing to take care of them, and they will stay by their side whenever they are allowed, but the same cannot be said of all owners. A truck driver in California takes a similar delivery route every day. He always passes through neighborhoods and a warehouse, but one day, he noticed something in the grass outside of the warehouse. 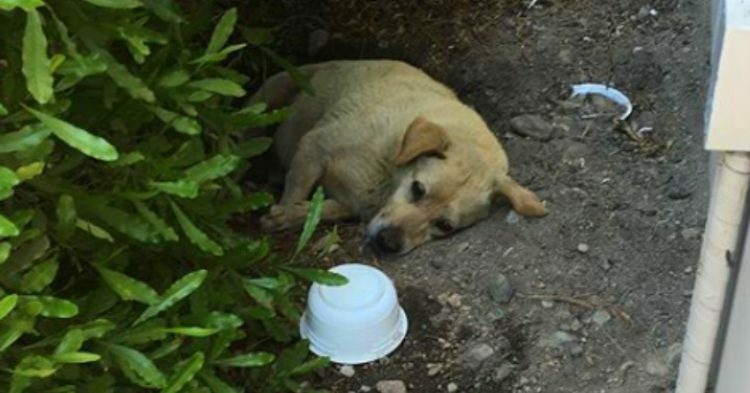 An old and sad-looking golden Labrador lay in the grass beside the parking lot. He ducked down, wished him well, and went on his way. But the driver saw him in the same spot every day after that. When he approached him, the Labrador did not display anger or violence but gratitude for the company. It didn’t take long for the driver to discover that the dog had been abandoned here. 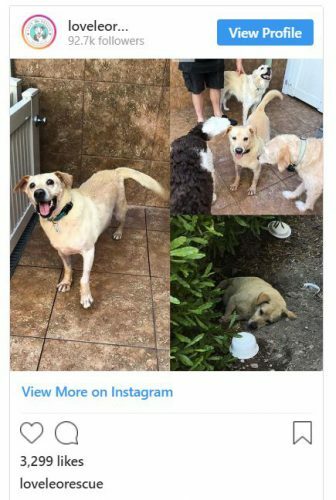 When his family, who lived across the street from the warehouse, moved out of their home, they left “Larry the Lab” there to die. 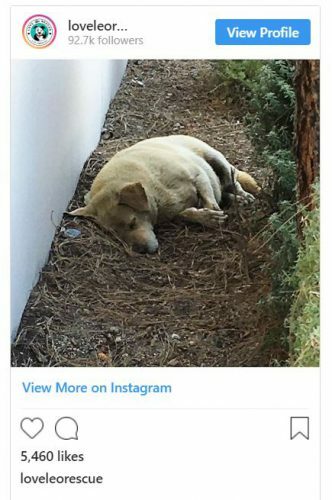 When the delivery driver wrote the story of finding this poor struggling dog on the Instagram account, people took notice. The driver explained how because of his current living situation, he couldn’t take OldBoy home with him, but he hoped somebody would. 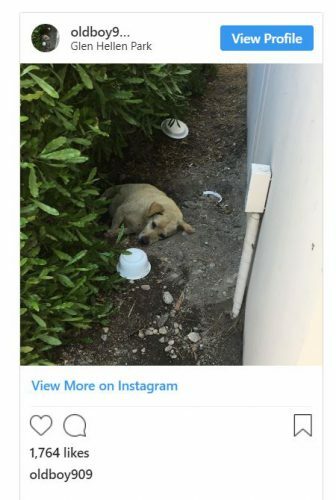 He asked all of those in California if they might be willing to bring this good boy home. That’s when Love Leo Rescue, a non-profit rescue organization based in Los Angeles, found out about this struggling dog’s story. They drove out to the warehouse and brought OldBoy, who later came to be known as “Larry the Lab,” back to their facility to care for him. They treated him with kindness and watched as he attempted to assimilate with the other dogs at the facility. Soon after being picked up, Love Leo Rescue learned that Larry had something called Cushing’s disease, a condition with symptoms such as weight gain, hair loss, excess thirst, frequent urination, and more. They were glad to have discovered his disease before he spent too much time alone and without medication. Larry the Lab would do pretty well after that. In just a short time, Larry became a social butterfly at doggy daycare. He might have struggled in the beginning, but he turned out to be an affectionate and never too-pushy dog, who felt so thankful to have been found and cared for. 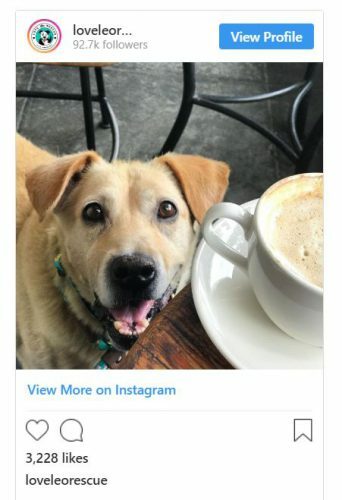 Do you have any rescue dog stories as touching as Larry’s?